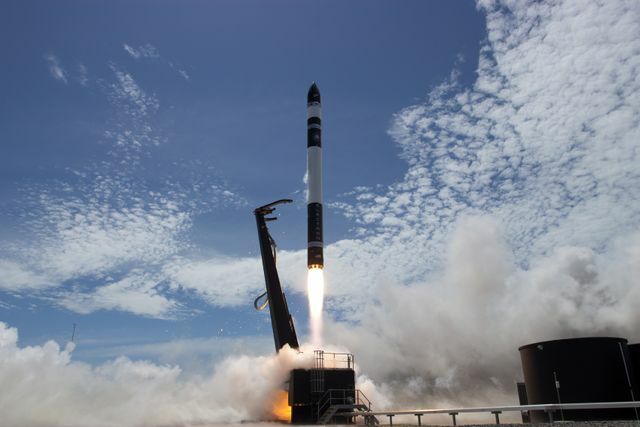 We were delighted to see that Rocket Lab achieved a successful second launch of its Electron small rocket, reaching orbit and deploying three cubesats - including 2 cubesats for our portfolio company, Spire Global. This achievement marks yet another big milestone in the maturity and progress of the NewSpace sector. In this case offering responsive and dedicated access to space, to orbits of the customer's choosing. Rocket launches are the fundamental backbone and infrastructure of the space industry, that is why we are seeing so much competition (Musk, Bezos and Branson to name a few) and investment going into this sector; nearly $1 billion of funding in 2017 according to our Space Index which tracks funding rounds for the industry. Until now, the only way small satellites could get into space is via rideshare opportunities - 'piggybacking' to space using excess capacity on larger launch vehicles. There are a number of drawbacks to this, not least being beholden to the timeframe of somebody else's schedule. In addition to Rocket Lab, a number of small satellite launch companies (60+ globally by some estimates) are developing solutions to these problems. Rocket Lab won't be able to meet all the demand for small satellite launch by itself, and we will see other players step up to the launchpad this year. That's very positive for the many planned constellations of satellites that need a launch - these rockets are enabling small satellites to meet their specific mission requirements, at an affordable cost. Congratulations should also go to the New Zealand Government for enabling a regulatory framework and backing a leading NewSpace company to grow and develop. The wheels are similarly in motion here in the UK, which we are very encouraged by. Start-up founders that we speak to on a regular basis realise the importance of creating vertically integrated capability from satellite manufacturing and launch to data analysis all in one location. Watch this space, there's definitely more to come in 2018. Rocket Lab has successfully reached orbit with the test flight of its second Electron orbital launch vehicle.